Huawei's Watch is the company's first smart watch. 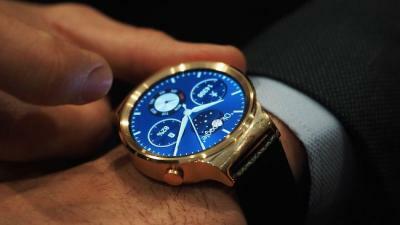 The Android Wear device sports a 1.4" 400x400 (286 PPI) circular AMOLED display (made by Everdisplay). It features a heart rate monitor and fitness tracking, six-axis motion sensor and a barometric sensor. Huawei's Watch is shipping globally, and costs from $349 for the basic model version up to $799 for a gold-plated steel model with a metallic strap.